These are too fun! They are vintage, from the 1980's, and are made from plastic. 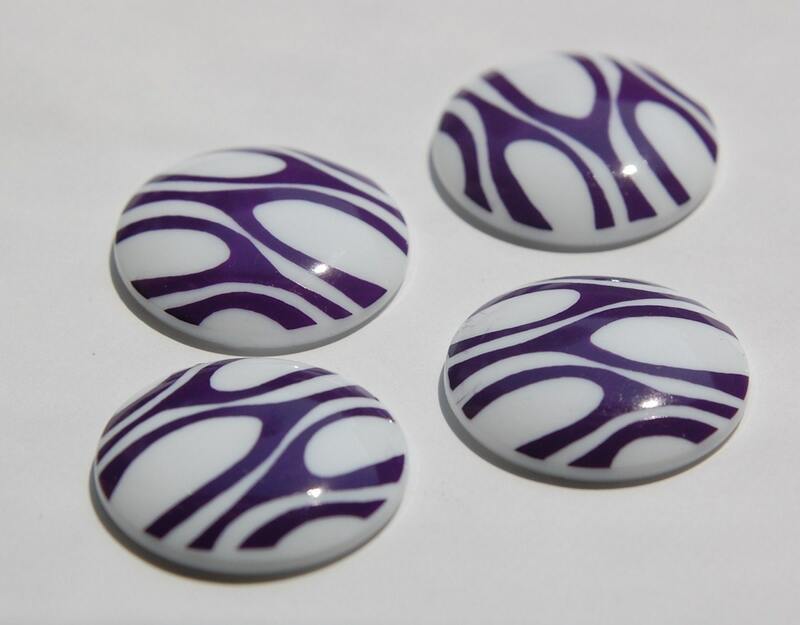 These are white with a mod all over purple design. 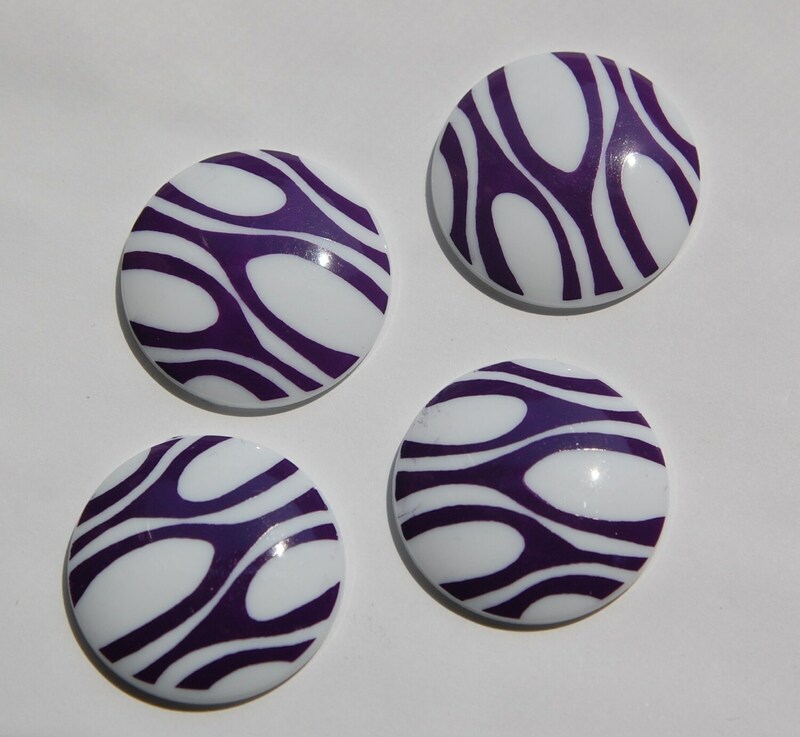 The cabs measure 30mm. You will receive 4 of these.